It's been eight years now since we got our first glimpse of a guy with a medieval hoodie and a knife up his sleeve, and oh how the Assassin's Creed family has grown since then. Pulling from every era from the beginning of time to the Apple Watch, this series has a cast list of hundreds, and the Assassin roster alone is dozens strong. Now Assassin's Creed Syndicate is about to add even more names to the guest list when it launches next fall. This is where you'll find Syndicate's full cast list as it's unveiled, from fictional folks to historical figures, less than ten years old to two years before death. Go ahead and take a look, and see who you'll be trusting with your digital life. The thick-necked and brash male lead of Assassin's Creed Syndicate, Jacob is at his best when he's introducing Templar thugs to the business end of his fists. An Assassin born in 1847 and brought up in the Brotherhood, he makes a pilgrimage to London with his twin sister Evie in 1868 to wrestle the city out of the Templars' industrial iron grip. Seeing the value of London's criminal underground and the of power it wields, Jacob is quick to suggest bringing the fight to the gangs themselves, taking over their territory and bringing thugs with little loyalty to the Templar cause under the Assassin banner. Jacob prefers a direct and brutal approach to negotiation, using brass knuckles and short, concealed knives as his primary tools. While the fact that he punches first and asks questions later might make it seem like he has a one-track mind, in early trailers he appears to be quite the dreamer. Motivated by a poetic desire to liberate the underprivileged from tyranny, he's every bit the idealist, and the first visionary Assassin we've seen in years. Every good criminal enterprise needs a proper strategist. While her brother Jacob may talk big, Evie is the business mind behind their gang, The Rooks, and knows what it will take to keep other enemy groups from seizing their hard-won territory. She's easily the more down-to-earth and subtle of the two, and that's reflected in her fighting style, which favors stealth and subterfuge. In Syndicate's first gameplay demo, we see her slip into an enemy stronghold without its legion of guards (or her own brother) noticing her until she knocks the gun out of a Templar's hand with a single throwing knife. Don't give her any sass, or she'll quietly kill you from the doorway. While Evie is an equal partner to Jacob (and equally playable), at this point we don't know as much about her as we'd like; Ubisoft has claimed it wants to focus on the Frye twins one at a time. The spotlight will apparently be on Evie at Gamescom 2015, and more information will be doled out over the summer. Keep your eyes and ears open - it's always a good strategy. Though Jacob waxes poetic about "rising from the ashes of an old Brotherhood", he and Evie apparently aren't alone in their endeavors. Henry Green's only present for a short cutscene as the demo kicks off, but that's enough to establish him as a more cautious character than either twin, adamantly opposed to two "building an army" of the city's criminal crowd. 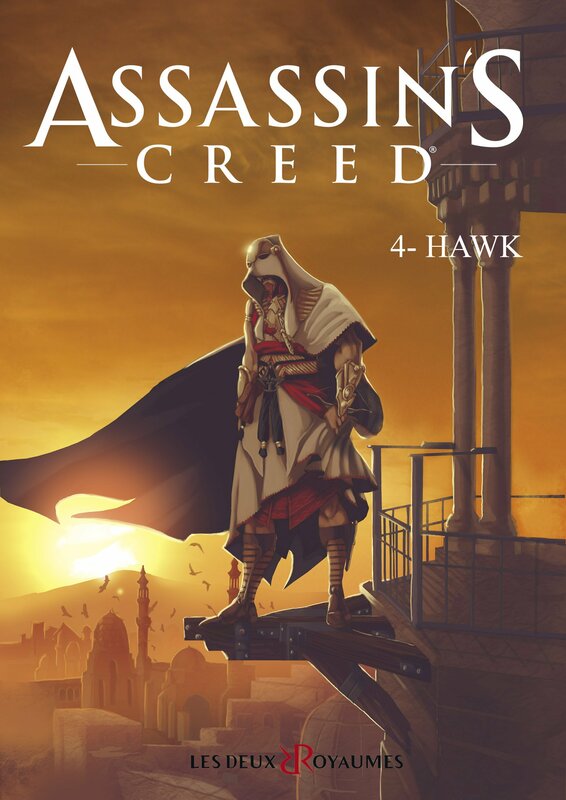 Sporting noticeably different garb than either Jacob or Evie, it's possible that Henry comes from a different nation's Assassin band (maybe Egypt, given that his Assassin gauntlet is similar to the one worn by Egyptian Assassin Hawk), and came to help the English Assassins regroup. Alternatively, he could be part of a splinter-group that managed to escape whatever led to the eradication of the British Assassins in the first place. Either way, he's much more focused on being discreet, and I suspect he has very good reason to be. Would a tale set in Victorian London really feel right with an adorable child around to be a scamp and feed the hero information? Were probably not going to find out in Syndicate, from the look of Clara. Though we've only seen her for a split second so far, she spends that moment passing Jacob intelligence about the Rooks' rival gang, the Blighters, apparently gathered through her own reconnaissance. Then she immediately goes for what's left of Jacob beer before Henry stops her, the little rapscallion. As unassuming as she may look, the information she gets on the Blighters and their Templar captain was something the Assassins weren't even close to uncovering according to Henry, so clearly this girl isn't to be underestimated. And hey, maybe she deserves some of that beer for her efforts. Come on Henry, this is the industrial revolution. She's probably had a longer workday than you have. A fearsome Templar captain with a very silly name, Bloody Nora is the leader of the Blighters, a powerful street gang that pays allegiance to the Assassins' greatest enemies. As the resident Templar controlling City of London (the borough, not the whole town), she's one of Jacob and Evie's foremost targets, because taking her out means taking control of her entire territory. So far it's uncertain if she'll actually play a large part in the story or not - she could just as easily be a pivotal character or a glorified pincushion. However, we don't see her go down with her thugs during the demo's conclusive gang war, so it's entirely possible she lives to fight another day. Father of evolutionary theory and owner of one of history's most magnificent beards, Charles Darwin is perhaps the most famous scientific figure of the 19th century, so naturally our Assassin heroes are going to meet him in person. Given that Syndicate is set in the thick of Darwinism's rise and two years after Charles re-emerged into the public eye (after a four-year bout of medical seclusion), we'll get to see the man at the height of his popularity - and susceptibility to Templar scheming. Revealed as part of a pre-order bonus mission called The Darwin and Dickens Conspiracy (I wonder who else might show up! ), Darwin will act as a recurring character that the twins can interact with in the open world. In addition, he'll be a regular giver of quests, probably like Leonardo da Vinci in Assassin's Creed 2 or Ben Franklin in 3. I suspect we'll be recovering some critical samples stolen from his laboratory. For science! In a completely unexpected turn of events, Charles Dickens will also be joining the Syndicate cast, which seems appropriate, as he literally wrote the book on the suffering of the working class in Industrial London. In contrast to Darwin, we can expect to see Dickens in the last years of his life, after the publication of all his most famous works and right at the start of the 'farewell' book tour he conducted before his death in 1870. Cheery! Before you go thinking that you'll just be collecting missing pages from Great Expectations for an oblivious old man, it's worth noting that Dickens' life had its share of suspiciously Assassin-y happenings. Like in 1860, when he made a bonfire of all his personal correspondences, or how he survived a horrible train crash in 1865 and managed to save some folks caught in the wreckage. Or what about the fact that he joined a famous society of paranormal investigation, and kept his affair with a mysterious woman named Ellen Tenran secret for years? Something tells me he experienced some best of times and worst of times with the English Assassin Order.